Day 1: Burma to Hindustan – Where is Shyamni? This trip has been coming for some time. One of the last countries to open its doors to the world, Myanmar offered more than just intrigue to my nomad heart. It shares its borders with one of my favorite countries, India. And it came off a blog post last year when I first thought about crossing over to India overland from Burma. Google searches for travel in Burma are futile. It’s almost as exciting in a treasure-hunt kind of a way. Information is just not so readily available yet which makes you look further and beyond only to be rewarded with big dreams and possibilities for your efforts. So yes, a small window of possibility does exist. And for the love of adventure, I am going to try and crawl through that window! Connecting via Don Mueang Bangkok from Siem Reap, I arrived in Rangoon today around 9.00pm. 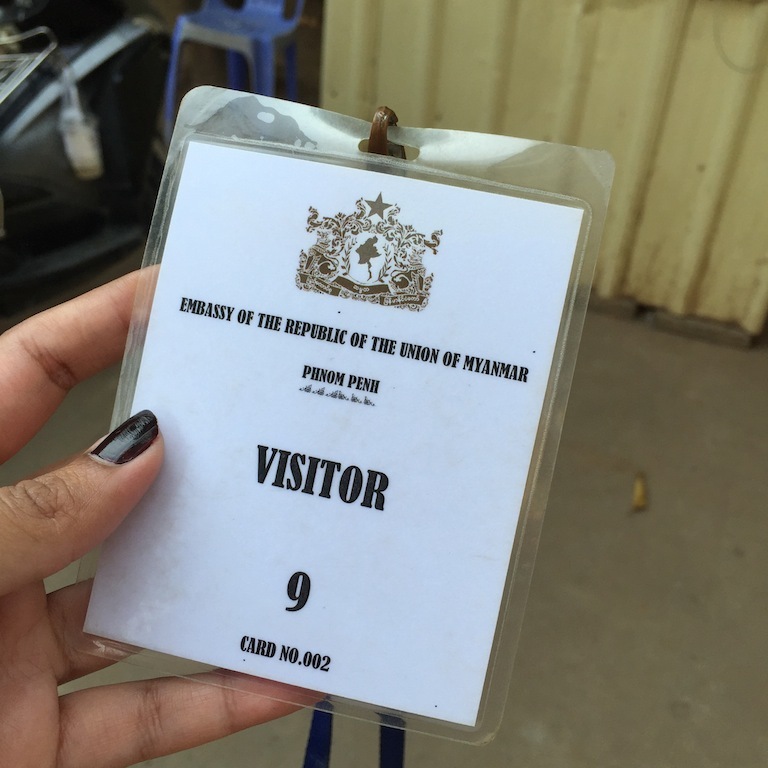 Fiji passports are not on their e-visa list nor visa-on-arrival so I got mine in Phnom Penh. The airport taxi had me at the guesthouse in just under 40 minutes and in bed with trembling anticipation for the coming days. Dear reader, from tomorrow I am going to document this leg of the Asian trip daily in a somewhat journal format till I cross over to the Indian side. As I travel out of Rangoon and further up the country depending on internet connection, there could be lag in the posts.